To enquire or order your dog, cat, horse or small domestic animal pet portrait, please contact the artist. 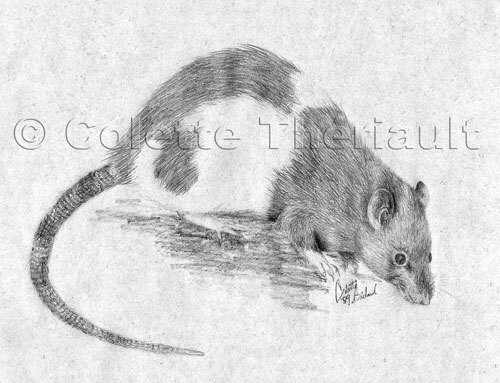 This is an early drawing of my beloved pet rat. Penelope was the first of many rats I have come to own.